This article first appeared in John Mariani’s Virtual Gourmet a few weeks ago. Click here to read it in the original format, or continue as you wish with the text below. 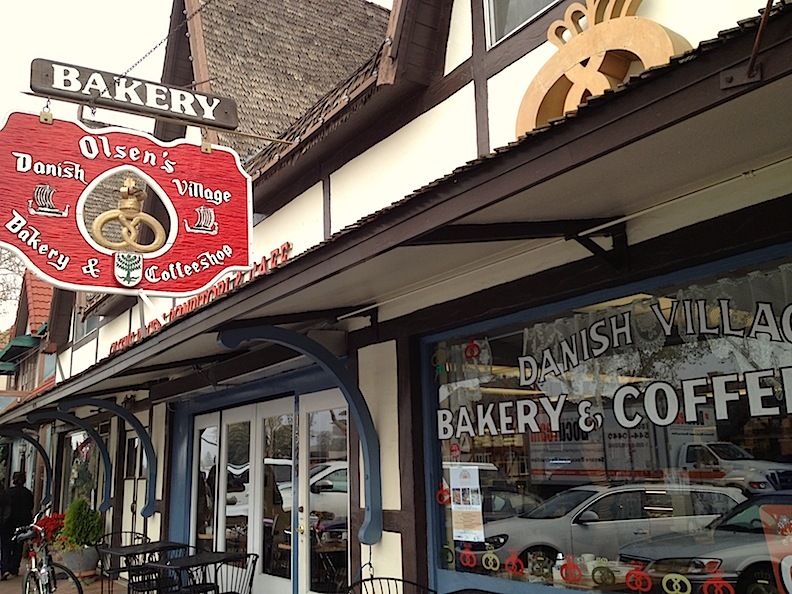 Solvang, California used to be a paragon of kitsch, corny architecture and lots and lots of butter cookies. When last we visited a little over ten years ago, it was at the tail end of its “outlet store phase” (as one local put it to us), and the Danish bakeries barely outnumbered the vacant storefronts – which is really saying something. These days, a great ableskiver, cheese Danish, or thin, Danish pancake accosts your waistline on almost every corner, but the real reason to come here is that this (formerly) sleepy little hamlet – known affectionately for decades as “Little Denmark” – has quietly become the wine capital of central California. Before illuminating the food and wine possibilities throughout the area, a little geography lesson is in order. Calling the Santa Barbara wine country the Santa Barbara Wine Country is a bit misleading, since the vineyards and wineries don’t even appear until you’re about forty minutes north of the city. The Central Coast is a more generalized description, but even that confuses the novice, since the entirety of the Central Coast stretches roughly 250 miles from San Francisco County to Santa Barbara County. No matter what you call it, this area is huge, with over 90,000 acres planted to winegrapes, and home to around 360 wineries. The good news is that Solvang puts you right on the doorstep of all of it, and over these past ten years the entire town has developed a food and winey vibe that matches the excellence of the unique wines surrounding it. Two other towns – both so tiny they make Solvang seem like San Francisco – compose the oenophile epicenter of this area. Buellton is for the budget traveler. It is home to a few motels, one good restaurant, several diners, and the only inn and eatery in the world named after a legume soup. Say what you will about Pea Soup Andersen’s, but it has endured for 90 years on the back of its thick and silky broth, redolent of nostalgia and pea-ness. One slurp of that soup, and a stroll around the premises, will take you straight back to 1962. Andersen’s is virtually unchanged since then in offerings, accoutrements or attitude, and that’s just the way it should be. The one good restaurant in town is also the one famous one. The Hitching Post II is where “Sideways” was filmed in 2003, and everyone stops by the bar to check out the modest wall of photos showing Miles and Jack (Paul Giamatti and Thomas Haden Church) doing their thing and posing with cast, crew and employees. What I love about HPII are the smoky“ barbecued” steaks (they call grilling “barbecuing” out here with nary an apology to Texas or North Carolina), and the ever-changing selections of Hartley-Ostini Hitching Post pinot noirs. What I don’t love is that everything else on the menu doesn’t rise to the level of those steaks…or the pea soup down the street. If I had to plan a meal over again, I’d start with some hap-pea-ness at Andersen’s, savor a steak and pinot at HPII, and grab a left-over Danish in my room for dessert. Meal disappointments are quickly forgotten however, once you hit the (two, tiny) streets of Los Olivos and start sampling. This village has also grown up a lot in the past decade. What used to be barely a blip on the map with a single, tony B & B (the Fess Parker Inn) is now home to over a dozen tasting rooms, art galleries, gift shops and a serious restaurant. Sides is the perfect place to relax once tasting fatigue sets in, and the minimalist menu cleverly disguises some real serious work being done in the kitchen. Located in the old Sides Hardware and Shoes store, our midday meal sounded as utilitarian as a crescent wrench when we ordered it: soup of the day (carrot-ginger), fish tacos and a corned beef sandwich. But what appeared: house-made corned beef, sashimi-grade albacore, and an intense, beautiful soup, revealed a certain level of kitchen sophistication that we had not previously encountered in trips to the area. Like most restaurants in the area, Sides only charges retail prices for the wines on its list, yet another reason to appreciate the unassuming nature of this wine region. Our only regret from lunch was we couldn’t return for dinner. You could lose yourself just walking around the various Los Olivos sipping parlors – especially the syrah-based beauties of Andrew Murray and Mikael Sigouin’s dense and vivid Grenache blends at the Kaena tasting room – but that would leave precious time to search out new finds like the Beckmen Winery (just five minutes out of town, specializing in Rhone varietals) or visit old friends like the Quonset hut tasting room at Foxen, still as rustic and charming as ever, twenty years after we first stumbled upon it. (and sip some remarkably good coffee), you’ll be ready to swirl and sip all day. 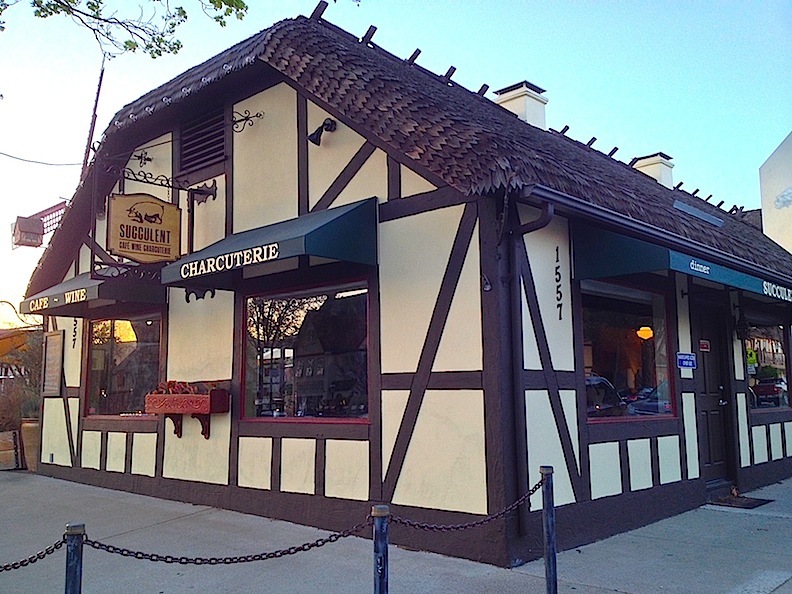 The “Sideways Effect” did more than put Solvang in touch with its inner oenophile, it also brought modern cuisine to a place where the food used to be as dated as the half-timbered architecture. Fifteen years ago, your choices were either a chain restaurant or anything you wanted…as long as it was wrapped in a pancake. These days, the town sports two restaurants — Roots 246 and the Succulent Café (pictured above) – with serious intentions. Our dinner at the SC — a house-made charcuterie platter, pumpkin seed crusted rack of lamb, and bacon-wrapped diver scallops — married perfectly with a 2010 Ken Brown pinot noir – all of it served by a wine-knowledgeable staff in a room where we couldn’t hear ourselves think. After dinner, we strolled past Root 246 – which had a raucous (well, raucous for Solvang, California anyway) bar scene going on and what appeared to be a much quieter dining room. Everything on its menu (cote de boeuf, lamb 3 ways, cassoulet) seemed perfectly suited to the bold, smoky pinot noirs that put this region on the map, so we resolved to book it for our next trip to this delicious, unassuming wine country, which should be very soon. I will never forgive Sideways for making it more difficult and more expensive for me to pick up great wines from Sanford, Qupe, and Calera. Great article, love Solvang I’ve made myself sick on unlimited bowls of pea soup multiple times. They used to try and give away bottles of hitching post just 12 years ago kind of funny. I haven’t been there in 50 years but I have fond memories of Solvang. Don’t recall the pea soup as being edible but their bathrooms were as good as the Mandarin Oriental’s. My first visit was in 1970. I don’t know how many visits since then (100’s) Buellton & Solvang. If I could afford it Cuyama would be my new home. Seems more like “Travelocity” every day. 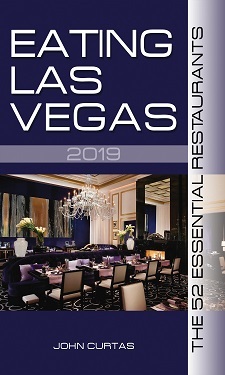 There must be some LAS F&B news and such, worthy of a mention, as that is why I look forward to checking in to your site. I have, when I think or thought appropriate, sent suggestions. Anyway hope you guys do not totally deviate from the original mission as I certainly, as sure others also do, enjoy reading your gems and insights of the local scene that you focused on in the past. Nothing wrong with this but certainly not why I check in.